“Graf Zeppelin” is a name to conjure with. Most people know it as the name of the pioneering passenger dirigible which made 143 Atlantic crossings, most on commercial service. Less know of her successor, near-sister to the Hindenberg, the last and largest rigid airship ever completed. But only a happy few know the third Graf, “the only German aircraft carrier” of World War II – obscure, definitely peculiar in design, and never completed. For a long time all we had of her was the photos in World War II editions of Jane’s, taken at her launching, of her unarmed hull, complete only to the flight deck. There was no clear idea what her island would have looked like, or how her very heavy low-angle armament of sixteen 5.9” guns were to have been arranged. There were four casemates visible on each broadside, but were all 16 guns to go there? If so, have there indeed been any other examples of twin-gun casemates? What was the conception of the ship in the first place, with her heavy surface ship armament and small complement of 40 planes? Was she intended to be something like Rear Admiral Moffett’s hybrid “carrier cruisers” (which is what the 1939 Encyclopedia Brittanica called her), perhaps intended to act as a lone surface raider? Why was she never completed? She went to the Soviets as a war prize, but did she hit a mine and sink crossing the Baltic, was she scuttled, scrapped, or did she still sit in a Russian harbor waiting to be, perhaps, actually completed or copied? In the October 2006 USNI Proceedings, Norman Polmar commented on the recent discovery of her sunken hull in the Baltic by Polish salvors and gives the complete story of her end as a test target by the Russians. He notes that they never kept this a secret, but the facts still took a good while to filter out to us amateur enthusiasts. The first good summary this writer encountered of her design and development and the on-again-off-again wartime plans to complete her (plus the incorrect story of her sinking by a mine postwar) was Clark Reynolds’ article “Hitler’s Flattop” in the Jan. 1967 Proceedings. In fact, it was in 1934 that naval constructor Wilhelm Hadeler was given the task of designing a full-size operational carrier from scratch, with no modest prototype to learn on, like the Langley, Hosho, or Argus. The Germans studied the Courageous and Lexington, got a look at the Furious and Akagi, and acquired plans of the last. Plainly Hadeler’s design is based on the best carriers of the time, the post-Washington Treaty battlecruiser conversions. The Graf, at 860 ft. long and 35 knots top speed, shared their best qualities: long hulls for reduced motion in high seas, long flight decks and high speeds to make takeoffs and landings easy. Thus she would have worked well as a carrier in terms of operating aircraft, in spite of adopting some of their oddball characteristics and introducing a few new ones of her own. She borrows the battlecruiser carriers’ heavy surface gun armament, which the other navies all dropped from their next generation of carriers. She also possessed a very complex plane handling system, with compressed air catapults launching planes on trolleys moved about on a rail system extending over her flight deck, elevators, and upper hangar deck – Prommersberger gives new drawings and complete details of this. Also unusual are her narrow twin internal hangars surrounded by gallery decks holding crew accommodations, which restricted this huge ship to a complement of 40 planes. Hard to visualize? You’ll have to look at M.J. Whitley’s article in Warship Quarterly’s number 31 (Fall 1984) which gives complete plans of all decks. 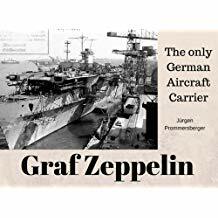 Both this and Siegfried Breyer’s 1989 The German Aircraft Carrier Graf Zeppelin are booklets for the ship buff, with brief, fact-laden texts, plenty of diagrams and tables, and loads of photos. Breyer’s is more attractive, printed on glossy paper with sharp photos; Prommersberger’s is newer, with some new information, but printed on cheap paper with sometimes cloudy photos. It also contains many previously unseen photos, of her construction at all stages and views of her interior spaces. Some of these are less than informative – bare metal and masses of electrical cabling – but they include the only views I’ve ever seen of her casemate guns mounted, and her 5.9” gun mountings (without barrels) before installation. Plus, there are the drawings of her catapult trolleys. Well – some of us have been waiting over 60 years for this stuff! If you’re interested, buy both books. And perhaps I should mention, there is an alternative history novel The Graf Zeppelin: Germany’s Aircraft Carrier by Paul Cozens. 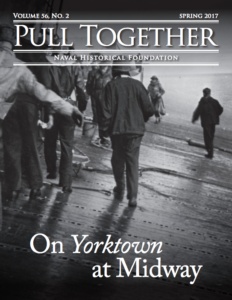 There is much in it to make the hair of the historian stand on end – such as a thuggy Herman Goering who plots to rub out the hero, such is his hatred of naval aviation. But at least it does get the Graf Zeppelin to sea with the Bismarck. About time! 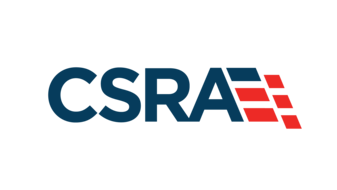 Robert P. Largess is the author of “USS Albacore; Forerunner of the Future”, and articles on the USS Triton, SS United States, the origin of the towed sonar array, and the history of Lighter-Than-Air. Buy Graf Zeppelin: The Only German Aircraft Carrier now!